The optical fiber unit is positioned in the centre. Two parallel Fiber Reinforced Plastics (FRP) are placed at the two sides. Arfter an aluminum polyethylene laminate (APL) moisture barrier is applied, the cable is completed with a black or color LSZH sheath. Finally, the cable is completed with PE sheath. The typical GJYXFHA duct bow-type drop cable is composed of one GJXFH cable in the middle and two strength members on both sides, longitudinal wrapped by aluminum tale and HDPE sheath. Support more network increment service in future. 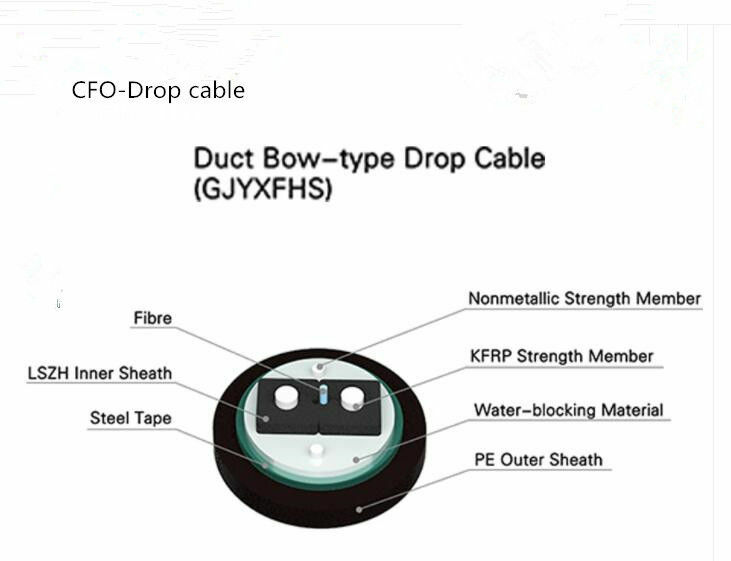 bow-type drop series cable consists of optical fiber unit, strength member and outer sheath, in which the strength members are placed at the two sides of the optical fiber unit and all of them are finally covered with the outer sheath. a).The optical fiber unit shall be fiber, tight buffer fiber or fiber ribbon. One or above fiber count is available upon request. c).The sheath is made of black or color LSZH material, which complies with standard IEC332-1. 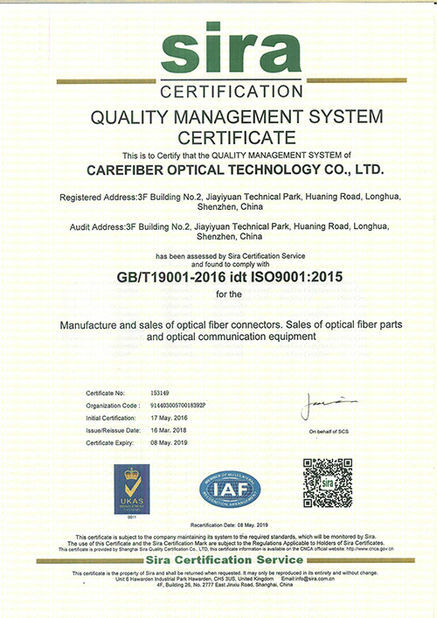 Carefiber always foucuses on reliable quality development. By complying with our qulity policy"Continue to pursue excellent quality, offer the best products and serices in order to realize customer needs and satisfaction", all along we strive for providing excellent products and service to meet and exceed our customer's need. Carefiber constantly works with modern quality management methods to ensure the whole service procedure is implemented flexibly and efficiently. 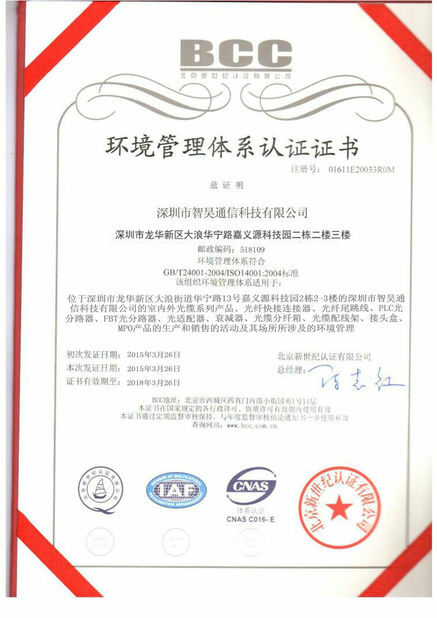 Carefiber has established complete quality,environment and occupational health and safety assurance system to design, produce and supply its range of fiber cable and FTTH products.